An Immigration DNA Test plays an important role in the processing of a visa and citizenship applicants. 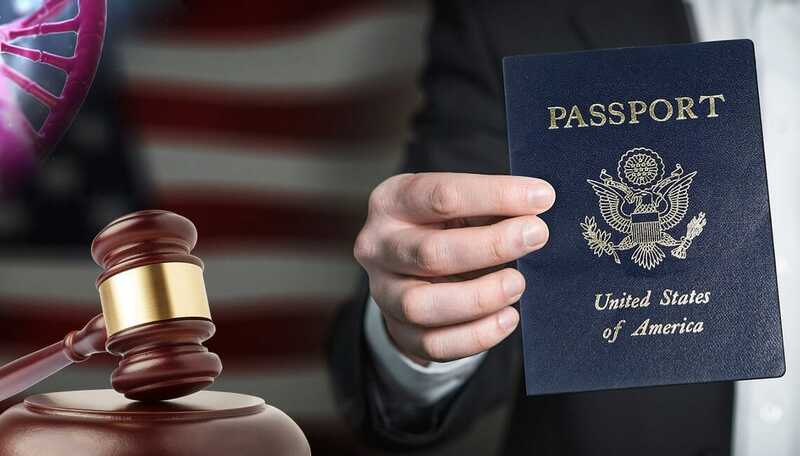 When a person applies to move the foreign country in order to join their family members, they must be able to provide proof of a biological relationship between an applicant and a foreign citizen in order to meet the requirements of the Foreign Border Agency. Therefore; Immigration agencies frequently ask petitioners to submit to an immigration DNA test for biological relationship applications. Then a Legal Immigration DNA test helps in determining with absolute accuracy whether there is a biological relationship between the two people or not. There are several DNA tests that can be taken in order to prove different types of biological relationships, including: paternity, maternity, siblings, kinship and extended family testing to establish how much distant relatives are biologically related, such as Grandparent testing. It has happen often that immigration agencies refuse visa applications due to an insufficient number of documents and suggest to pass the DNA test to prove their biological relationship. It helps to save time. Many immigration lawyers advise their clients to take an immigration DNA test before applying for a visa if sufficient documents are not available. The immigration DNA test is performed on an oral sample of the applicant rather than on a blood sample as it is painless, non-invasive, and easier to collect and ship. When oral swabs are taken, the cells are taken from the inside of the mouth or cheek by rubbing the swabs gently. The accuracy of an immigration DNA test result on a cheek swab sample is equivalent to that of a blood sample. So, it is necessary to conduct in a well-known and authorized laboratory. DDC Laboratories India provides accurate and reliable DNA test results for legal immigration. These results are approved worldwide by all embassies such as the United States, the United Kingdom, the European Union, Australia, Portugal, Arab and other countries. DDC is the trusted name for the Legal Immigration DNA Tests in India and abroad. These test results can be used legally for immigration cases, applications and appeals. Our testing laboratory is fully accredited and recognized / recommended by various embassies and consultants. For more details contact us or please call us at: +91 7042446667 or whatsapp: +91 9891167771 and customer representatives will be happy to help you out. Which DNA Tests are Helpful in Immigration and How? Can I Do a Paternity DNA Test for Immigration?